On 12 May 1859 Jonathan Peel the Secretary of State for War, wrote to the lieutenants of the counties of England, Scotland and Wales authorising the formation of volunteer rifle corps and of artillery . The volunteer corps were to be raised under the provisions of the Volunteer Act 1804 previously used during the Napoleonic Wars to form local defence forces. Many East Kent men wanted to serve their country as volunteers but did not wish to incur the expense associated with joining a mounted regiment. In 1860 they were able to do so when I (Wingham) Company, 1st Battalion, East Kent Volunteers was formed with an inaugural roll which included Capt. 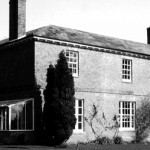 D’Aeth of Knowlton Court; J. B. Plumptre of Goodnestone, gent. ; Charles John Plumptre of Nonington, gent. ; Henry Maxted of Nonington, builder; George Holtum of Nonington, baker; George Holloway of Nonington, brick-layer; Turner Maxted of Nonington, brick-layer; Henry Stokes of Nonington, carpenter; Charles West of Nonington, game-keeper. Volunteers from other parishes were of a similar status: land-owners and gentry, professional people, shop-keepers, artisans, and farmers. Captain H. W. Plumptre of Nonington, the son of C. J. Plumptre, entered service as 2nd lieutenant in 1887, rising to Lieutenant in 1889 and Captain in 1893, finally resigning his commission in 1896. The Rev. F. F. C. Chalmers of Nonington became Chaplain in 1874. In 1872 the 5th East Kent Rifle Volunteers took part in a Brigade muster held in Fredville Park in conjunction with the 4th Battalion and the Ramsgate, Margate and Dover companies of the 2nd Cinque Ports Battalion. The owner of Fredville, Mr. Charles Plumptre, served as a Captain and Staff Major in the Volunteers, later becoming an honorary Lieutenant Colonel. His son, Henry Weston Plumptre, entered service as 2nd Lieutenant in 1887, rising to Lieutenant in 1889 and Captain in 1893, before finally resigning his commission in 1896. 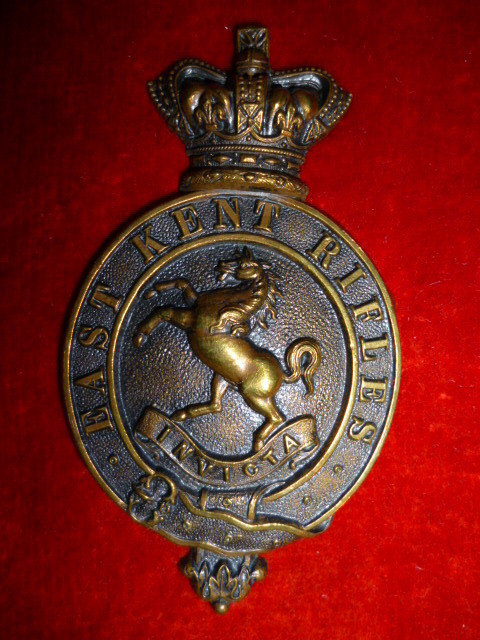 In 1880 the unit was re-organized and renamed again, this time becoming the 2nd East Kent Rifle Volunteers, but only until the Cardwell Reforms of 1881 when it became the 3rd (Special Reserve) Battalion, The Buffs (The East Kent Regiment). During the Great War of 1914 to 1918 other Nonington volunteers bravely fought, and unfortunately died, for King and Country with other battalions of the Buffs.